Welcome. We are Siren's Song, a Love Live! Sunshine!! Fandub and English cover group. I am Vivi, the main director for this group. 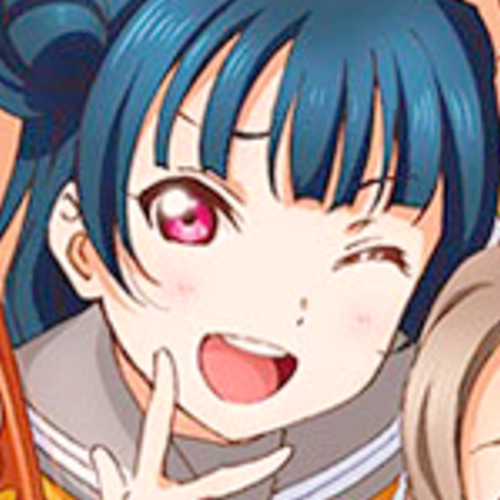 Unfortunately, our Yohane was unable to meet deadlines or answer messages, and therefore had to retire from the group, so we are searching for a new Yohane to join our cast. 1. Meet deadlines . They are there for a reason. We would like to get projects done within a good time frame so we can move onto the next thing of course! 2. Respond to All director messages. We have to know how things are going! If you don't respond, we won't know and it will make everything a lot harder. We hope you will consider auditioning! We'd love to hear you, and possibly welcome you to the wonderful cast of Siren's Song. Good luck everyone. 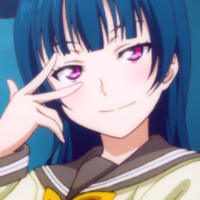 Yoshiko Tsushima is a first year at Uranohoshi Girls' Highschool. She believes she is an that has fallen from the heavens above, therefore she will occasionally switch into her 'Fallen Angel' Persona, Yohane. Her voice will drop while she is in this mode. For Yoshiko, you will need to be able to voice act in both a Yoshiko, and a Yohane voice. The Yohane voice being much lower than her Yoshiko voice. You will also be needed to sing in the two different voices as well. Sing any Love Live! Sunshine!! Song in ENGLISH.